After 11 years on the American Stock Exchange, trading and brokering equity derivatives, Coach Buck left “The Floor” and earned his Masters in Exercise and Sport Psychology, and soon after founded Get It Done Consulting. He is a Certified Consultant and member of the Association for Applied Sport Psychology (AASP). He has consulted with professional and amateur athletes alike, implementing mental conditioning programs in a wide variety of sports, including lacrosse, golf, tennis, soccer, basketball, track/field, crew, fencing, hockey, and baseball. Chris is also certified to teach “Fearless Golf” – the research culmination of Dr. Gio Valiante which emphasizes the physiological effects of fear during competition. Coach Buck has consulted with golfers on the Web.com Tour, PGA Canada Tour, Gateway Tour, and the college circuit. He has also worked with world-ranked Long Drive competitors. As a mental conditioning coach at the IMG Academies (Bradenton, FL), Coach Buck consulted with athletes attending the Nick Bollettieri Tennis Academy, David Leadbetter Golf Academy, and the IMG Basketball, Baseball, and Soccer Academies. Chris has also coached both men’s and women’s lacrosse. Most recently, he is the Mental Coach and Goalie Specialist for the Avon Old Farms boy’s varsity lacrosse team and was the Head Coach of the Desert Mountain High School women’s lacrosse team, leading them to the 2008 Arizona state semi-finals. Additionally, he coached the Arizona State All-Star Team in the Women’s National Tournament in Baltimore, MD (’08). 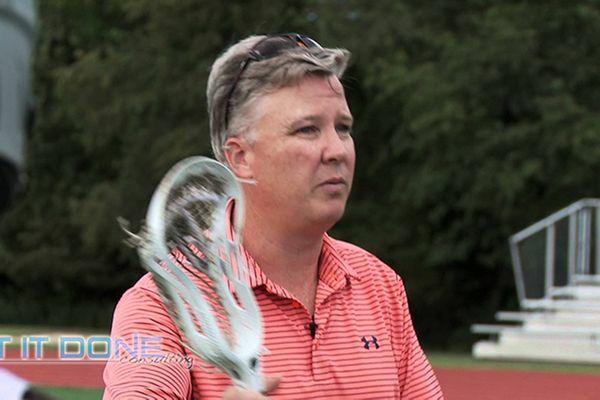 Coach Buck is currently the Assistant/Goalie Coach for the Northeast Team of the Underclassmen Under-Armour All-America Lacrosse Classic (2010 – Present). Chris grew up and played lacrosse in Wilton, CT, winning two state championships during his time there and finished his four year high school career with a 46-1 record as the starting goalie. After high school, he went on to play lacrosse at Ithaca College.